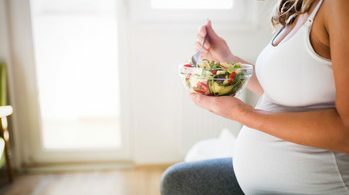 Unless you’ve lived under a rock, you would know the latest health-related lifestyle trends. You probably know about the gluten-free diet, vegan life, and acupuncture. But have you heard about CBD? Yes, CBD as in cannabidiol. People all over the world are trying the wonders CBD can offer to their health, and trying it on their furry-legged friends too. Dogs are getting in touch with alternative medicine all over the world and leaping into a conventional-drugs free life. 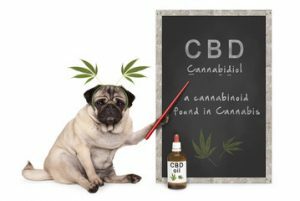 CBD is a wonder supplement that could benefit people and dogs as well. It is a side effect free supplement that works in many ways over our pets’ health. The main reason people have ultimately changed to CBD products is because of the harsh side effects many conventional drugs have. Like people, dogs suffer from many ailments like allergies, inflammation, cancer and infectious diseases. The reality is, vets can often be very expensive, and treating dogs with conventional medications would probably require a quick check-up before acknowledging the right dosage and medication for your four-legged baby. So what is there to do? What are the alternatives? This is where homeopathic medicine takes charge. Homeopathic medicine is the practice of applying different methods like herbs, essential oils or working with the body itself to better, alleviate or prevent a disease. Humans have been following homeopathic journeys for many years, and dogs are recently onboard too. CBD is considered a homeopathic treatment. When taken, the body interacts with CBD with the help of the endocannabinoid system. The ECS system is found in all mammals, and it is responsible for regulating processes like memory, immune response, and sleep. There are two main cannabinoid receptors (CB1 And CB2). The receptors are like personal workers when it comes to endocannabinoids, which are naturally produced in the brain. But they are also responsive to plant induced cannabinoids, which can be found in CBD. Here’s the good part, when this happens the body begins to process them, and we get the beneficial properties from the plant. Humans like dogs, cats and other animals studied have reflected similar reactions when CBD is supplemented in their bodies. CBD can be administered in different ways. There are tinctures, treats and infused super-foods like peanut butter and coconut oil that will cause a mouth-watering moment for your dog. 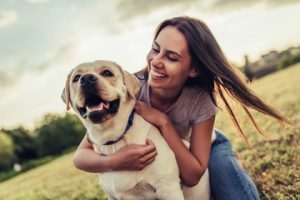 So, when it comes to giving your dog CBD, it might be fairly easy. But it is up to you to decide if CBD is the best option for your pup. Remember always to consult a vet in the first try or, and be very aware of how your pup would react. Give it a try, and be the judge of this CBD craze on your pup! Below is an infographic that gives you details about CBD for dogs. Hermes Maldonado works with Honest Paws, we believe CBD is a potent conventional medication alternative that should be included in our pet’s daily health supplements. Honest Paws works every day to help pets all around the United States have longer, healthier, and happier lives!